Head over to our YouTube channel to watch interviews of our students on why they've chosen the UTC. We are pleased to announce the appointment of Daniel Sydes as the new Director of Computer Science and Mathematics and Ashley Tilling as the new Director of Engineering and Physics (Science). Both Directors will be joining us in September. Daniel Sydes, comments on his role: "I am hugely excited at the prospect of playing my part at UTC Reading. I will focus on developing strong business links and cutting edge technologies as tools to lift UTC Reading’s head above the crowd. 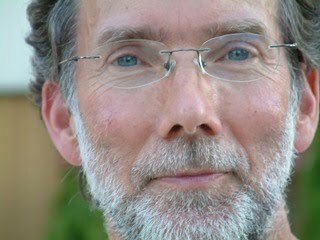 I aspire to create a computer science and complementary mathematics curriculum that will be engaging and challenging for technically minded students, enabling them to be amongst the most employable of all young people." Daniel studied Computer Systems Engineering at the University of Warwick graduating in 2003. He has 10 years full time teaching experience in secondary schools in Coventry, London and the Cayman Islands. He also has three years experience as head of Business and ICT where he received praise for his work from OFSTED and played a significant role in raising standards and exam results. Ashley started his career in Engineering in the Royal Navy. He undertook naval training at Dartmouth and specialist training as a Weapons Engineer Officer at the Royal Navy Engineering College, Manadon. This was followed by a wide range of management, technical, training and officer-recruiting posts. Ashley left the Royal Navy to pursue a long-held ambition of becoming a teacher of science, specialising in physics. After gaining qualified teacher status (QTS) with Cambridge University, Ashley moved to posts that included Head of Physics at Ampleforth College and Sir William Perkins’s School and Curriculum Director at King’s College School, Wimbledon. During this time he completed an MA in Education Management at King’s College, London. We’ve recently held interview for teachers of computer science and maths, so watch this space to find out who we've recruited! If you’re interested in joining us at UTC Reading, we are still recruiting teaching staff, visit our website for more details. 100 people attended our latest and very busy taster event at industry partner Network Rail. We welcomed some familiar faces of applied students and new faces of young people and parents wanting to find out more. Activities for young people to try included CGI hacker school, Network Rail simulator, 3D printers and working the signal on a piece of railway track. Joanne also explained that when students join the UTC they will start specialising in either computer science or engineering and gain relevant qualifications alongside the curriculum. During the evening we also announced the UTC company names. They are Chips, Code, Brunel and Faraday. There’s also been a competition to win a device running for the past few months. At the end of her talk, Joanne invited Patrick Hallgate, Route Managing Director at Network Rail to pull the winner’s name out of the ballot box. Congratulations to Alex and Martin Copeland for winning a Toshiba laptop! Many thanks to European Electronique for providing the laptop prize. In September the UTC leadership team will place students into a company so there is a range of ages and abilities in each. During the first half term, CGI will be involved in helping students set up their companies. All competitions (including sport and project based) will run through the companies and each company will have an account so that when they win tenders, competitions etc. UTC virtual funds will be added to their account. At the end of each year, the company with the most funds will win a prize. Each company will also have a CSR programme and will work with charities and the local community. Companies will pick their own charity to raise money for. At the UTC, each company will have its own headquarters and reps that will work with the leadership team to shape the future of UTC Reading. As part of our commitment to the industries that will one day employ our students, we are sponsoring the Thames Valley branch of the Institution of Civil Engineers (ICE) Engineering Excellence Awards 2013. 35 projects across South East England have been shortlisted for the award. Full details are available on the ICE website. ICE strives to promote civil engineering, represent its 80,000 members and share best practice within the industry. We will be attending the Thames Valley branch awards on 14 June 2013. Alongside taster events, you will find us at community events throughout the region, so pop over to say hello or to get more information about joining us in September! 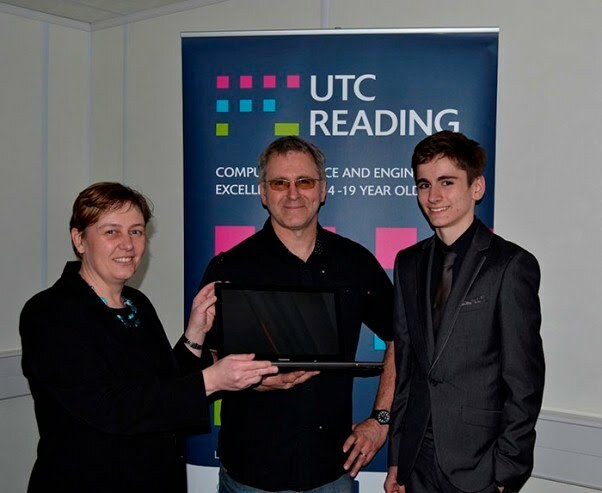 Taster event hosted at Reading College, 16 May 2013 - find out more about the UTC at our academic partner hosted event. Attending ICE Thames Valley branch awards, 14 June 2013 - celebrating achievement in the engineering industry. Attending East Reading Festival, 16 June 2013 – a celebration of the East Reading community (in Palmer Park) where the UTC is based. Taster event hosted at Cisco, 25 June 2013 - find out more about the UTC at our industry partner hosted event. Attending Teen Tech event, 28 June 2013 – a great day at Newbury Racecourse to raise awareness to young people and teachers of the diverse and exciting career possibilities in science, engineering and technology. Please contact enquiries@utcreading.co.uk or call 0118 955 4544 to book your place at the taster events.